I start this long weekend with a visit to the Toya fish market, which is just down the road. 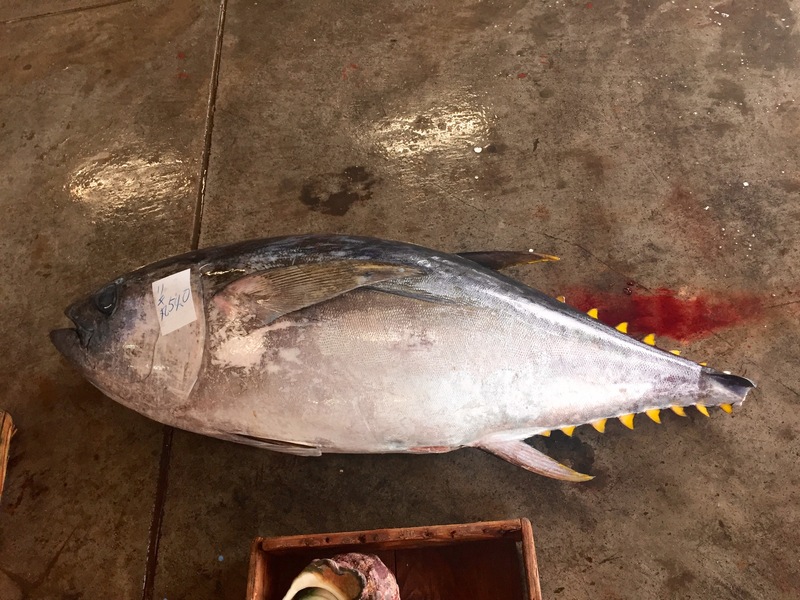 This Tuna is huge. Trust me. Totally. 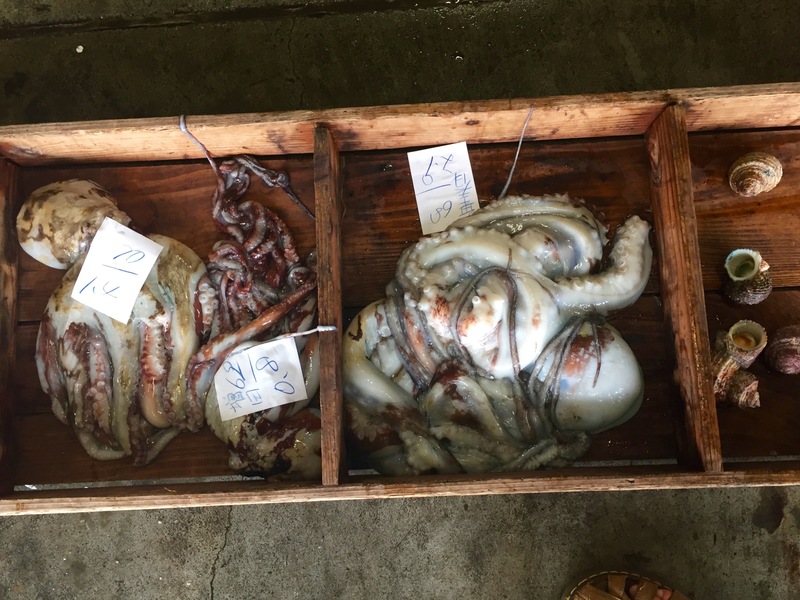 amazingly, fresh octopi. I like this stuff. I buy big Octopus in anticipation of future social gatherings. So, an entanglement of rope has arrived on my beach. I am much affronted. There are at least 10 different strains of rope in the entanglement, ranging from little rope to big, big, mooring for steamer, rope. My question is, how did they all come together in the wild and wistful ocean? Can rope communicate? 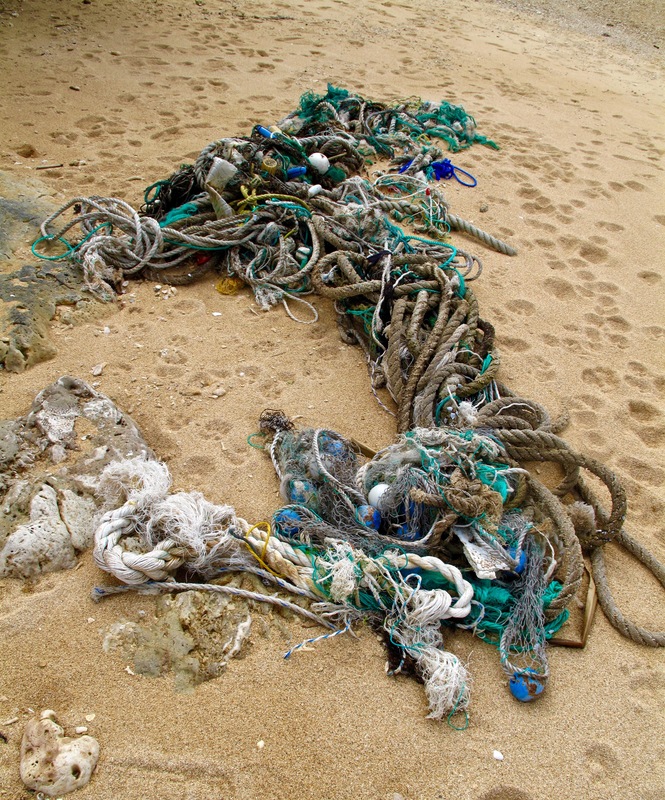 Dolphins and whales can,so perhaps rope that is lost on the briny deep,can send out messages to attract other rope. 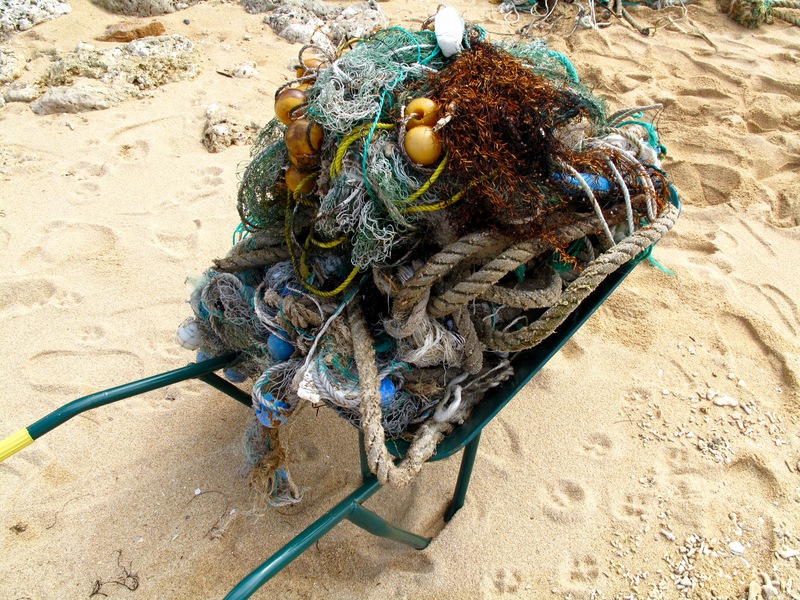 A bit like a flotsam rope dating service. Likes gardening and outdoor activities. Anyway, I have to cut it up into chunks and wheel barrow it back to the house. Garbage collection around here accepts; burnable, glass, cans, PET plastic bottles and jetsam. I like this. Each has a separate bag. Wrong bag = no pick up. 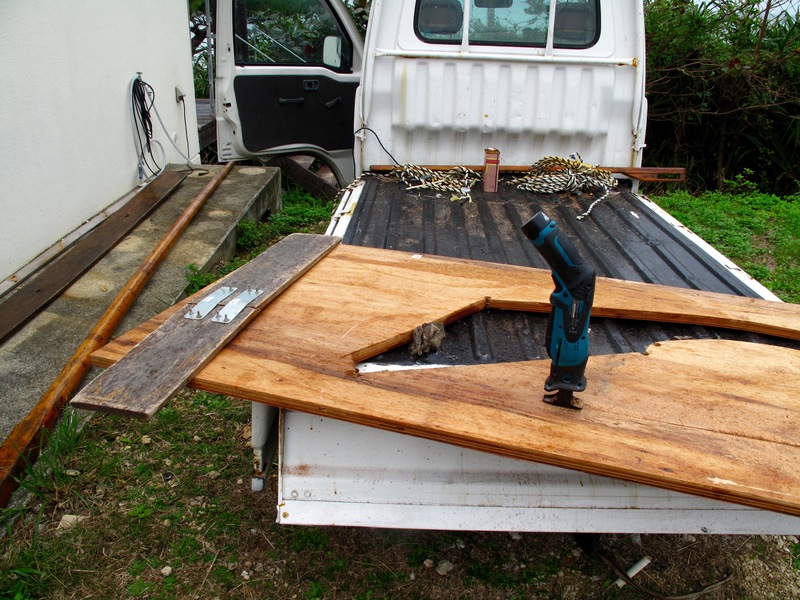 Well, today I cut a new thwart from my slab. 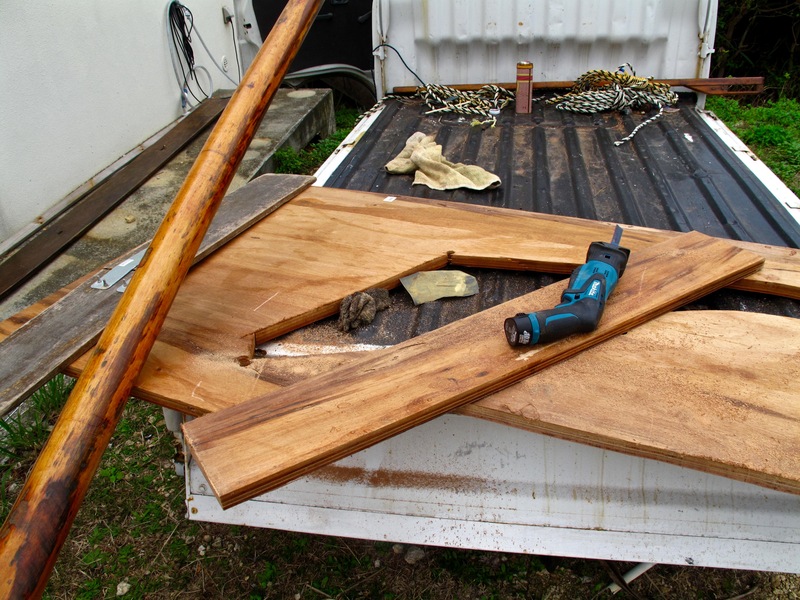 The truck bed is such a good work surface. Not sure if I know how to do that. The wood is quite thick.